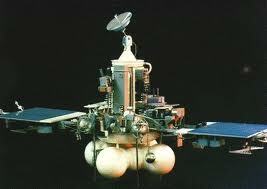 The USSR’s Phobos II enters Martian orbit on its way to the moon Phobos. The spacecraft never completed its mission as it lost contact with mission control on March 27. Due to some unusual last photos received from Phobos II, speculation arose that it was destroyed by a UFO. Official reports blame the failure on the onboard computer. I wonder if mission control was trying to secure the Martian licensing rights to Tetris.